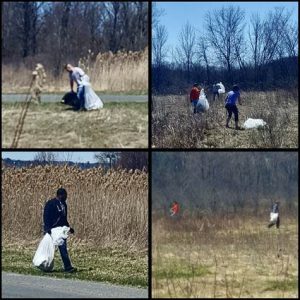 Last month, on Earth Day, members of the Informatics team at Community Hospice in Rensselaer volunteered their time to help clean up the trash from around their building on Valley View Boulevard. 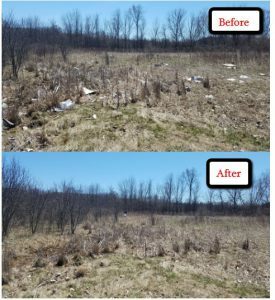 The team of 15 colleagues fanned out across the adjacent fields, and much to their surprise, ended up collecting enough scattered debris to fill two dumpsters. Great job to everyone who was involved in this effort! 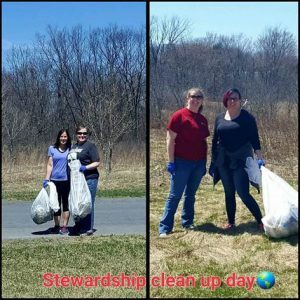 Thank you for demonstrating SPHP’s Core Value of Stewardship – promoting the common good and focusing on the sustainability of Earth!